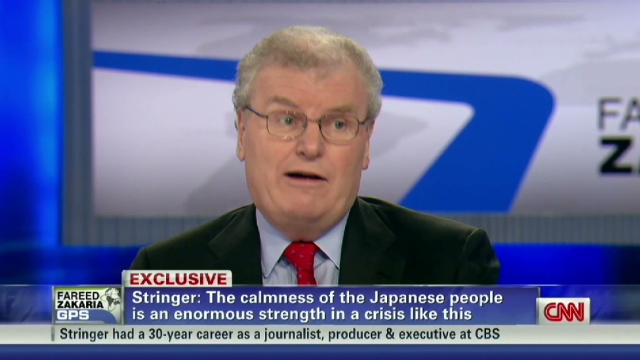 CNN’s Fareed Zakaria spoke with Sony Corporation of America president/CEO Sir Howard Stringer about how Japan’s culture will speed it’s recovery from the devastating crises of earthquakes, tsunami, and radiation it has faced since March 11. This interview aired on Sunday, March 20, within CNN’s on-going live coverage of events in Japan and Libya. CNN’s FAREED ZAKARIA GPS airs Sundays at 10:00am and 1:00pm on CNN/U.S. and 8:00am on CNN International. All times Eastern.